Heather Lederman - amazing mom, wife, figure competitor and friend! This past year has been a difficult time in my life, due to physical, emotional, and relationship changes. After meeting Erika at a graduation party in mid July of 2017, I instantly felt a connection. Giving her a scoop into my life, and the situations I had been dealing, she knew right away the direction my life needed to go. I hired Erika’s service a month later, in which she designed a workout for me that my body could handle. I worked out with her three days a week, and also incorporated nutritional products she suggested from Isagenix. This company sells supplement products such as protein shakes, weight loss supplements, snacks and meal replacement shakes. Associating Isagenix into my workout has really made a positive difference in my health. My goal in the beginning of this experience was to acquire more strength, confidence, and being happy and healthy. In the first month of working out with Erika, I felt a slow and steady change as I woke up each day feeling like a new and better version of myself. After positive results from the first month, I decided to have Erika design another workout plan for me. This goal was to become lean and strong. Finishing up this second workout plan, I felt that I was definitely achieving my goal. After working out with various trainers and not achieving my fitness goals, I made a decision to hunt down a professional independent trainer in my area. I finally found a true professional in personal training, and her name is Erika DeJesus. We met at a local gym and spoke about my fitness goals, including wanting to put on some lean muscle. Finally I was speaking to someone who was educated in this area. “Wow!” I said to myself. I went home and reviewed the paperwork that was emailed to me, and then I started my training with Erika the next week. The first week of training was so different from what I was used to, not necessarily the equipment part of the training, but the way she handled me and spoke to me explaining different things about training. It was so exciting for me to finally be speaking and training with someone knowledgeable in this area. She has always been there to answer any questions as needed along the way. Erika has brought me to the next level of fitness, with the training, fitness classes she’s recommended, and races. She is truly a genuine person, and along the way through my journey, I have found a special friend! So if you’re looking to go to the next level in fitness she’s the one! Erika is by far the best person to give you the knowledge to have a successful and non judgmental workout. Her organic healthy lifestyle, can educate you in choices for a sound nutrition program as well as a good exercise plan. I have been training with her for months now. We have tried different workout regimens. She already knows what I’m capable of before I do. I have osteoarthritis and certain flair ups occur. She will alter my workout without a second thought, and gives me plenty of options. Her positive attitude is very uplifting, and I feel great after our workouts! 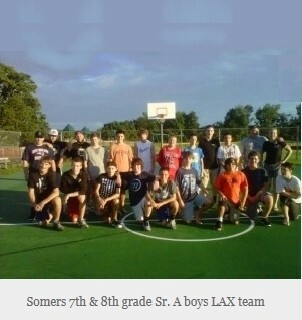 My name is Jon Paley and I’m the head coach of the Somers, Ct. boys 7th and 8th grade Sr. ‘A’ lacrosse team. 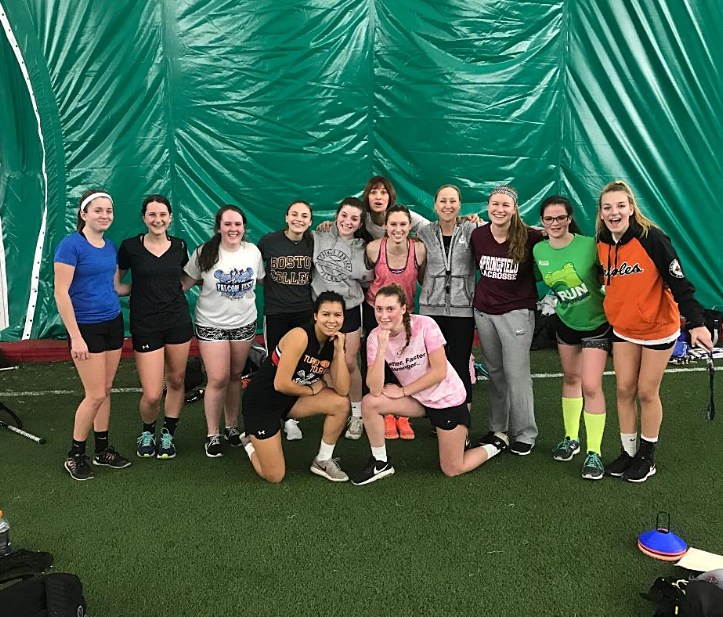 As a staunch supporter of dynamic warmups, agility training, and general strength and conditioning, in January of ’13 we asked Erika to come in and work with the team. Every Sunday morning for approximately 2 hours, Erika trained and conditioned the team with warmups, agility and a general variety of conditioning training and drills. John came to me late winter of 2013 with a desire to put on 10 lbs of lean muscle to compete in an upcoming bodybuilding competition on June 29, 2013. I created a carb-cycling and all-natural supplement program for him with a focus on lean muscle gain as well as a workout program designed to help him put on some muscle size, especially in his legs, and yet still maintain definition in preparation for his show. John is truly a dedicated and disciplined client who followed his program to a ‘T!’ And his discipline paid off! He placed 1st in the novice division and 2nd in the open division of a very tough show! But you know the best thing about this young man is his inner strength and kind heart. True strength – inside and out! Congrats to a very super man!! In October of 2011 I had reached my limit! I was a 40+ year old busy single mom who really needed a boost. Leading such a busy life, I had let my own fitness go and really needed to get back into shape but had no idea where to start. I enlisted Erika to help me get started and sure enough we hit the ground running! Erika started me off with a training program, worked with me 3-4 days per week and I started seeing results pretty quickly. I have gone from a size 16 to a size 10 in less than 6 months by watching what I eat and working out 5-6 days per week.